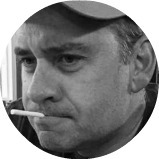 John A. Daly is a recovering software developer turned political, media and culture writer. He’s a published author of three novels (the Sean Coleman thriller series and a freelance contributor to BernardGoldberg.com, National Review, and Paste Magazine. A vinyl record collector and candy-cigarette aficionado, John lives with his wife and two children in Northern Colorado. Find him on Twitter @JohnDalyBooks and on Facebook.